50 floors above the active city of Miami, a lifelong rivalry continues. 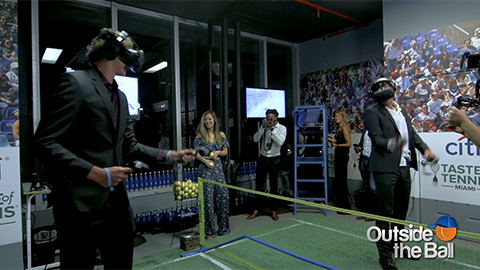 Alexander “Sascha” and Mischa Zverev squared off against each other in a virtual reality tennis showdown at the Citi Taste of Tennis event. After some light boasting, it was time to enter their new virtual reality tennis court. The game proved more difficult than monopoly or basketball as it was Mischa Zverev who pulled out the win this time. “A win is a win, who cares.” Mischa exclaimed as he came out on top in the playful simulation. Like every heated rivalry, fans eagerly await the handshake at the end of each match. 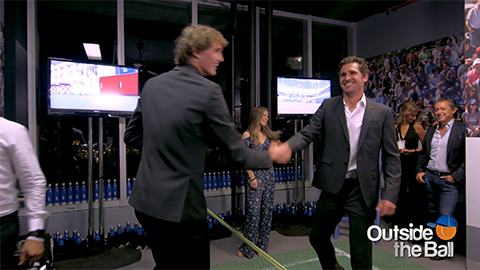 Sascha was reluctant to shake his winning brother’s hand, but in the end, sportsmanship was the real victor. If you don’t have a VR headset of your own, don’t feel bad. This video will help you feel as though you are playing along with them!